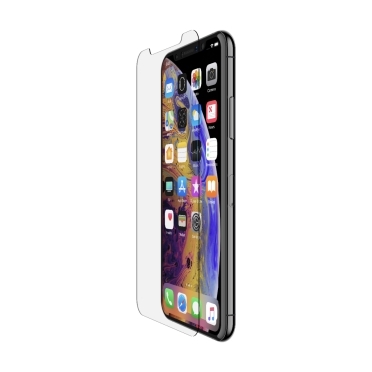 ScreenForce™ TemperedCurve Screen Protection for iPhone XS Max is rated 4.0 out of 5 by 2. 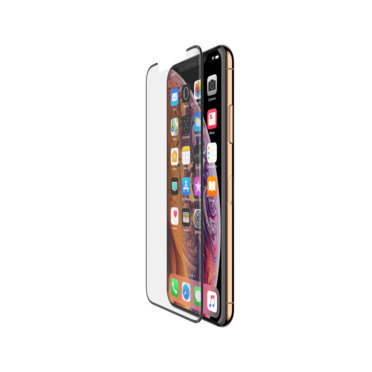 High-performing tempered glass is precision-engineered to fit seamlessly along the edges of the screen, to deliver premium edge-to-edge protection. Advanced impact defense, maximum hardness for enhanced scratch-protection and precision touch sensitivity combine to deliver a flawless screen experience, with added resilience. Premium Japanese glass provides protection from bumps and shocks. Tested to the maximum hardness rating of 9H**, this resilient glass resists scratches and scuffs to preserve your screen’s pristine appearance. 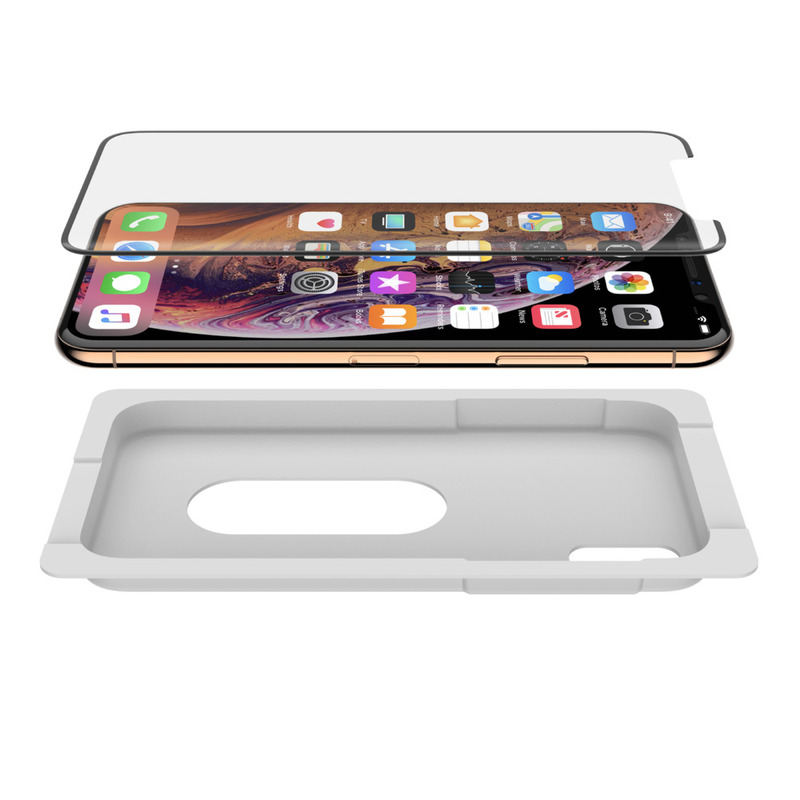 The included Easy Align tray makes applying your screen protector easy. Your TemperedCurve screen protection aligns seamlessly with your screen’s curves so smoothly, you’ll forget it’s there at all. 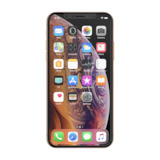 TemperedCurve features an expertly engineered four-layer formula for enhanced resilience and protection for your iPhone. Each layer performs to the highest standards, from fluid adhesive for a seamless application, to an anti-fingerprint and scratch-resistant coating tested to 9H pencil hardness. 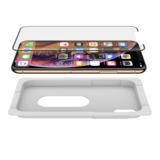 Subtle design details make this edge-to-edge screen protection fully case compatible with most Belkin and Apple cases. 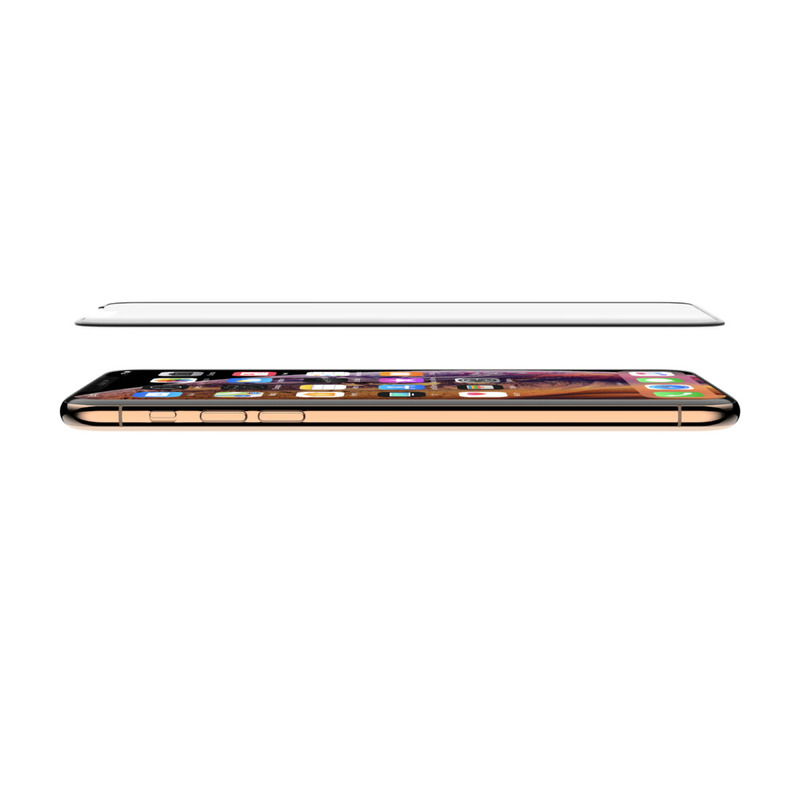 Combine with a protective case to create full 360-degree protection for your iPhone. 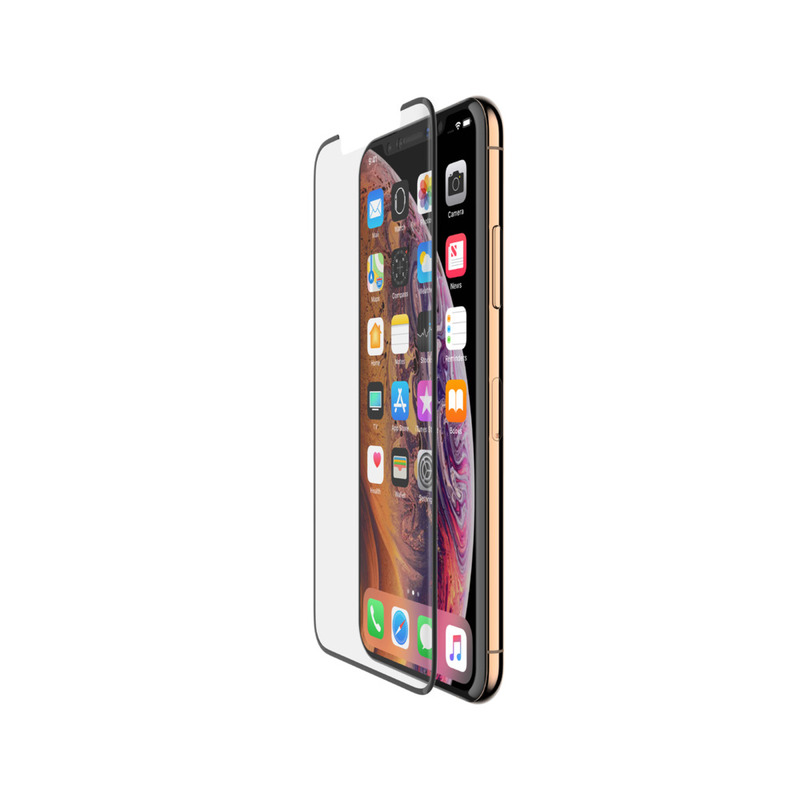 The smooth glass material feels just like your iPhone screen, and is slim enough to preserve touchscreen sensitivity, responding to every touch with absolute precision. Testing to optometric standards ensures pixel-perfect clarity. This makes it ideal to post and edit photos, watch movies and enjoy other video content. 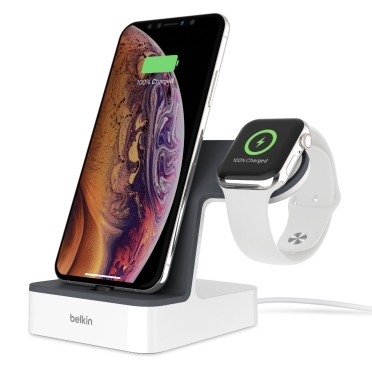 The ScreenForce TemperedCurve Screen Protector is covered by Belkin's Limited Lifetime Warranty. This commitment to performance in protection provides added peace of mind for consumers. 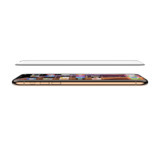 Rated 4 out of 5 by Eric D from Great Screen Protection! I used to apply screen protectors to every new phone I bought. Somewhere along the line I stopped using them and haven’t regretted the decision. 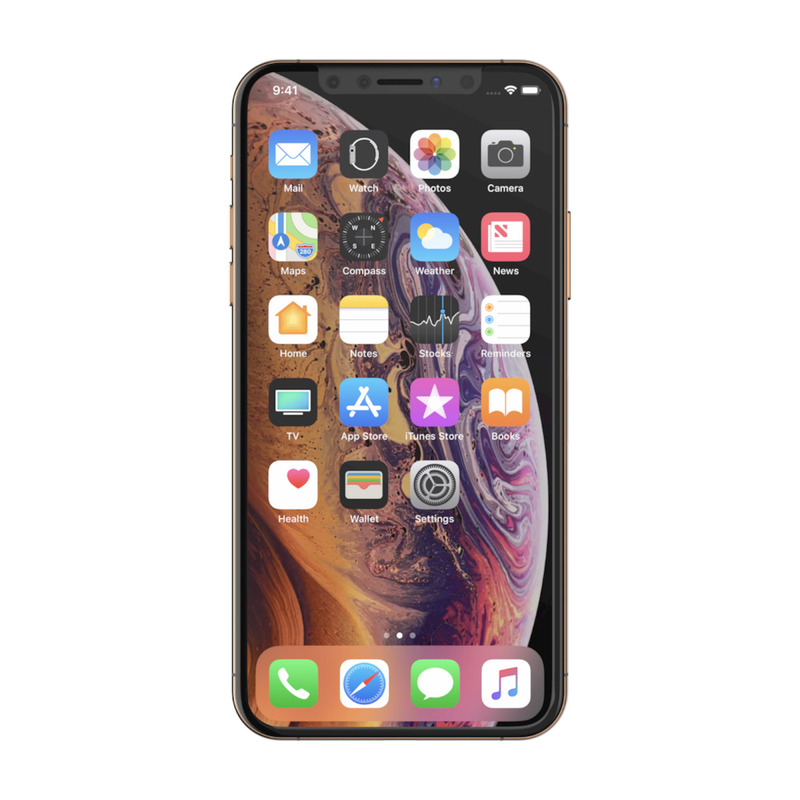 iPhone screens have gotten pretty durable over the years and to be honest, I have decided the risks of going without a screen protector outweigh the frustration I always experienced with the application process. Installing a screen protector perfectly is almost impossible. The trapped dust, air bubbles, and slight misalignment bugs me every time I look at my phone. This screen protector is different. 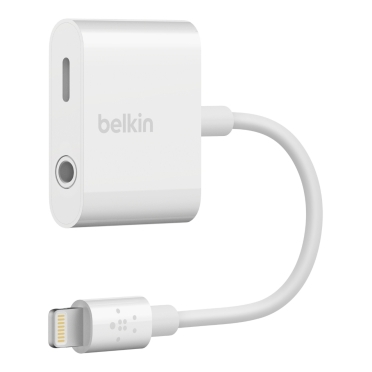 Belkin includes an application system that is better than anything I have used before. The screen protector comes attached to an application tray on one edge. You simply set your phone in the tray and lower the screen protector down onto the phone. The process worked well. I do have one small piece of dust toward the bottom of the screen and one right on the edge of the glass. Without applying the protector in a dust free clean room, you really can’t expect much better. This is by far the best application of a screen protector I have seen. Following the initial application, the screen is clear and bright. It is smooth to the touch, but feels a little different than the iPhone glass. It is possible the difference in feel is because it is clean and my last interaction with the phones screen still had the dreaded fingerprint smudge. The screen protector covers the flat portion of the screen and stops just prior to the downward curve along the phones edges. The feel of the raised screen protector edges as you swipe side-to-side is a little off putting. This is even more noticeable when swiping up from the bottom, which is done frequently on these newer phones where a swipe up from the bottom is how you open the phone and go back to the home screen. After a couple weeks of use, I have almost forgotten the screen protector is on my phone, which is good. The screen is clear, bright, and does not show any fingerprints. I keep the phone in my front pocket. Aside from the occasional pocket lint around the edges of the screen protector, it has held up amazingly well to the constant in and out of the pocket. There are no scratches or other signs of wear and tear. I still notice the edge of the protector as I swipe up from the bottom. Belkin also makes a version of the screen protector that curves down over the edges. If this one ever breaks I may try that one instead. 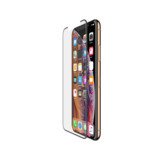 That said, until I damage this screen protector or trade in my phone, this screen protector is staying on my iPhone Xs Max. I can recommend ScreenForce TemperedGlass screen protector and say it is the best I have ever used. Rated 4 out of 5 by Ray C from Solid Glass Screen Protector Overall, this is a solid screen protector. The included tools and tray makes installation quick and easy (although I did end up with a piece of dust between the protector and the screen, despite following each of the directions). The protector does a great job minimizing the appearance of fingerprints and grease on the screen, which I really love. It also has a better tactile feel than the bare screen — your finger glides more smoothly across the screen. I appreciate the cutout at the top; it makes installation easier and ensures that your cameras and speaker aren’t affected. The only real negative for me is that the protector does not go all the way to the sides and bottom of the screen. I’m not concerned about leaving this portion of the screen uncovered (it is really a small amount of the screen), but rather this causes my finger to sometimes catch in the ridge between the protector and my case and I worry that, at some point, I will pull the protector off the screen.